Real Hope is a ministry from Sunbridge Road Mission that’s entering its 14th year of reaching out to addicts, homeless and working girls. Every Wednesday we open our doors and offer a warm meal, clothes and comfort, and give a short, relevant Gospel message. Also available to the guests are housing specialists, doctors, rehab representatives and addict support workers. We aim to provide a holistic service with Christ at the centre. Within the last year we have employed a support worker to offer Pastoral support via outreach, one to one and group work to all in need. We are taking Christ to the lost and believe in the power of the Gospel to change broken lives. 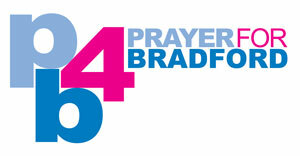 Please pray for practical needs be meet including donations of clothes and food; for people to be burdened for the lost; for volunteers; and for people to respond to the Gospel for salvation.